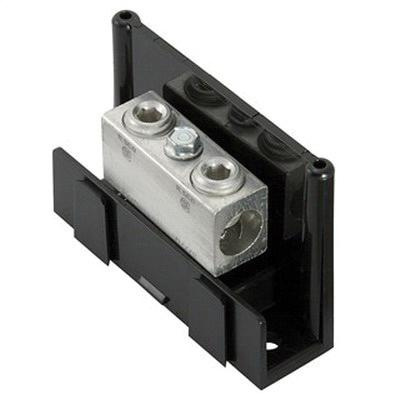 Ilsco 1-Pole Dual rated power distribution block is easy to assemble and has Lexan® insulating base. It has voltage rating of 600-Volt AC and current rating of 175-Amps. Each block can stand alone or combine with other blocks to form a multi-block set. It is suitable for use with either copper or aluminum conductors. Power distribution block is UL listed and CSA certified.